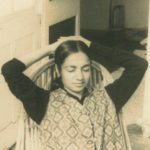 Born in 1937 in Karachi, India, in what became western Pakistan some ten years after her birth, Mohamedi lived, even from her early years, a cosmopolitan life. Her family moved to Mumbai in 1944, and later Mohamedi attended St. Martin’s School of the Arts, in London, from 1954 to 1957.She settled in Baroda in 1972, where she taught Fine Art at Majaraja Sayajirao University, and would continue teaching until her death in 1990. She walked on a path she carved out for herself at the time when her contemporaries such as Tyeb Mehta and MF Husain were soaring high on colours and the grandeur of figurative narratives. 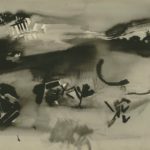 Many critics have segmented her oeuvre into three general periods: an early period of sketches and semi-representational collage in the 1950s to mid-1960s, a “classic” period of increasingly non representational forms, including her signature grid-based drawings, and a mature style in pen and ink. 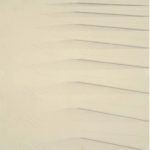 Although her work, especially the mature drawings of the 1970s and 1980s, is disciplined, even austere, it remains highly rhythmic – releasing the energy and movement of natural phenomena through line. 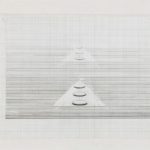 The grid that so often provides a spatial environment for her drawings is less a limitation than a framework for her compositions, allowing, in the words of Deepak Talwar, the “poetry within structure” to emerge. 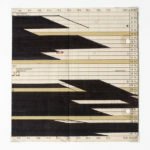 Mohamedi is most often associated with Agnes Martin, with whom she was paired at the 2007 documenta in Kassel, Germany. Although Mohamedi’s disciplined mark-making and frequent use of grids and lines does recall Martin’s work, however, Mohamedi herself was not aware of the American artist and her paintings until late in her life. 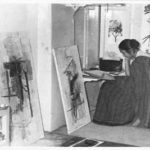 In her diaries, Mohamedi makes reference to Kasimir Malevich and Wassily Kandinsky, both of whom she admired and claimed as influences on her work. Indeed, Constructivism and Suprematism are often used in approaching her work, which seems to share not only a geometric language, but also follows a similar urge to distill a systematic formal order from nature. 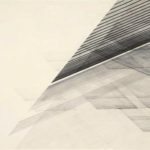 The lyricism of Mohamedi’s work, the counterpoint to its precision and meticulousness, seems to have been influenced by the poetic and spiritual aspects of Paul Klee and Wassily Kandinsky. The discipline that is apparent in Mohamedi’s writings and drawings belies a great tragedy. When she was in her 20s, Mohamedi was diagnosed with Huntingon’s Disease, a neurological condition that, among other things, affects a person’s motor functions. For Mohamedi, whose life’s work was predicated upon precision and control, it was particularly devastating affliction. Hand tremors eventually made drawing difficult, but she continued to produce art into the last years of her life. These later drawings, are softer, sparser than their predecessors. Curves and chevrons float delicately in a void of blank space. 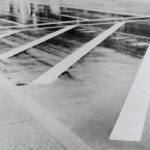 Mohamedi also took photographs throughout her working life, some even during her extensive travels as an art student in London. She never intended to display the photographs in public.Her photographs were more than documentary, however; the photos from the 1980s, for example, like her late work in pen and ink, are abstracted to the point of becoming non-representational. 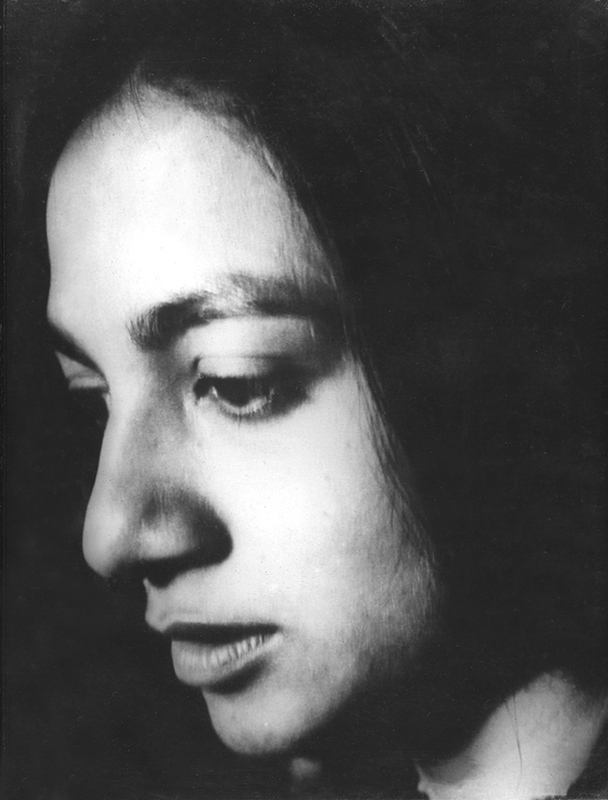 Her friend and art historian Geeta Kapur has placed Mohamedi’s photographs between the artistic and the real, stating that they create “an allegory of (dis)placement between the subject and the object. Mohamedi died of Huntington’s in 1990, at the age of 53. At the time, she was little known beyond India, but is now considered to be one of the most important figures of South Asian modernism.